When Mag was about a year and a half old, we enrolled her in an program called Language Stars. For an hour a week, she and I (or she and Kam) would meet with a few other parents and toddlers, and under the guidance of some very gifted teachers, we would play, sing, and learn, entirely in French. The Parents and Tots program was phenomenal; the teachers unparalleled. More than 2 years since our last session, Mag still sings some of the songs and spontaneously uses numerous French phrases. I can only imagine where her French would be if life hadn't sent us in a different direction after our first year in the program. Recently, we were thrilled to receive an invitation to return to Language Stars. (Okay, you don't actually have to be invited to attend the program. But an invitation has a way of making you feel special, doesn't it?) Because Mag is now significantly older this time around, she now participates in the Kids Only program. After our very positive experience with the Parents and Tots program, I had high expectation for the Kids Only program. It does not disappoint! Check out how awesome Language Stars is! If you are lucky enough to live near a Language Stars location (metro DC and greater Chicago), I encourage you to take full advantage of the Language Stars Free Trial Program. I all but guarantee you will love it! Have you been to Language Stars? 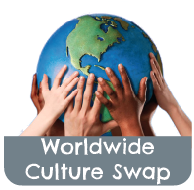 Do you know of another phenomenal language school? von der Bibliothek: "Aloha, Dolores" and a FREEBIE! One of our favorite ways to explore the great wide world is through books about travel and destinations. Our favorite place for books? Die Bibliothek! We are at the library at least once a week. 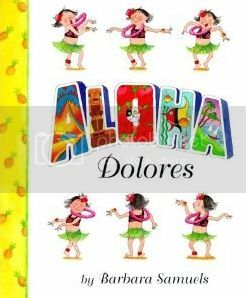 A new library favorite: Scholastic's "Aloha, Dolores," by Barbara Samuels. In this fun and quirky story, young Dolores is convinced she will win a trip to Hawaii when she enters her cat, Duncan, in a contest sponsored by a brand of cat food he doesn't even like. When they don't win, Dolores creatively turns her disappointment into an imaginary voyage. "Aloha, Dolores" was read 3 times in its first day at our house; I couldn't miss the chance to maximize the fun and turn it into a literacy event! 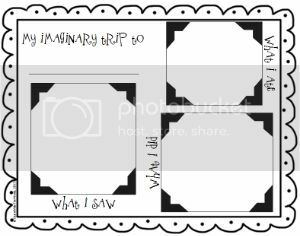 So today's FREEBIE, inspired by Dolores, is a scrapbook drawing page of an imaginary vacation. This activity targets "text to self connection," which supports Common Core Language Arts goals. It can also easily be extended to cover "text to text connection." Further, KWL (know, want to know, learned) planning can be incorporated pre- and post-activity. Mag thoroughly enjoyed imagining, drawing, and sharing her "vacation." She chose to go to China, where she saw the Great Wall, pet a panda bear, and ate noodles. EDITED 03/10/13: This file has been MOVED, and can now be downloaded from Google Docs. Click here. If you give this a try, stop back in and let us know how it went. Amusez-vous bien! (French) = Have fun! Our family is headed to l'Hexagone in a few weeks. After more than a decade since my last trip à Paris, it seems the closer we get to departure, the more difficult the wait! So this week we gave ourselves a sneak peak into what lies ahead, by treating ourselves to an afternoon at Le Chocolat du Bouchard. 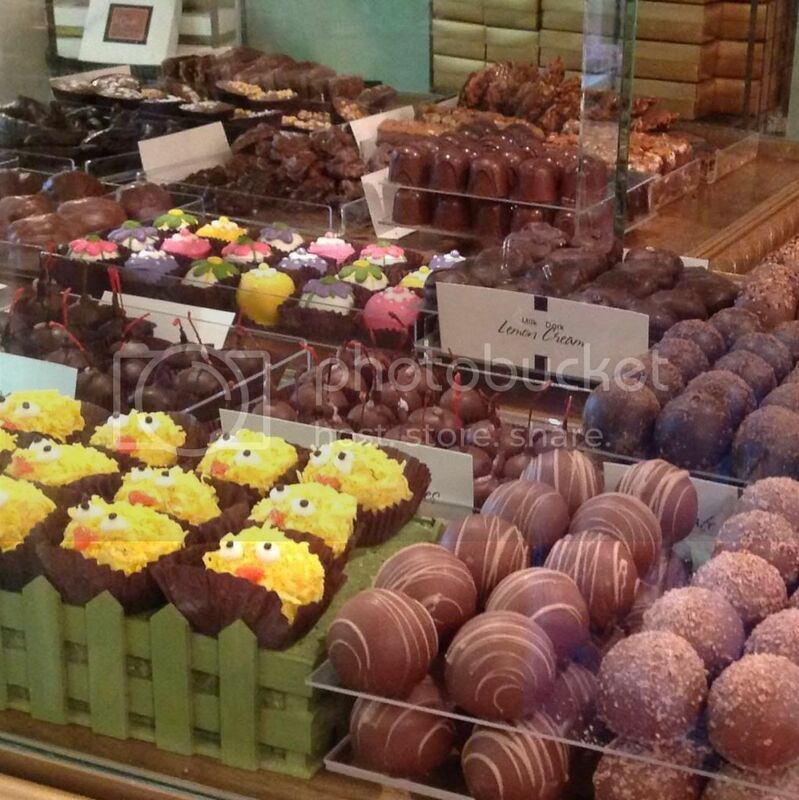 Le Chocolat de Bouchard is a French-style chocolaterie that has been hiding right under our noses, in the heart of downtown Naperville (western suburb of Chicago). We've been to Naperville scores of times, but somehow never noticed the two-store-front bistro et magasin on South Washington Avenue. One step inside and you won't be sure if you're in the 'burbs, Paris, or chocolate heaven! Everywhere you look, you'll see what Le Chocolat touts as "the best in hand-picked chocolate from around the world, including an extensive collection of premium chocolate bars, truffles, and pure healthy chocolate." Et nous? 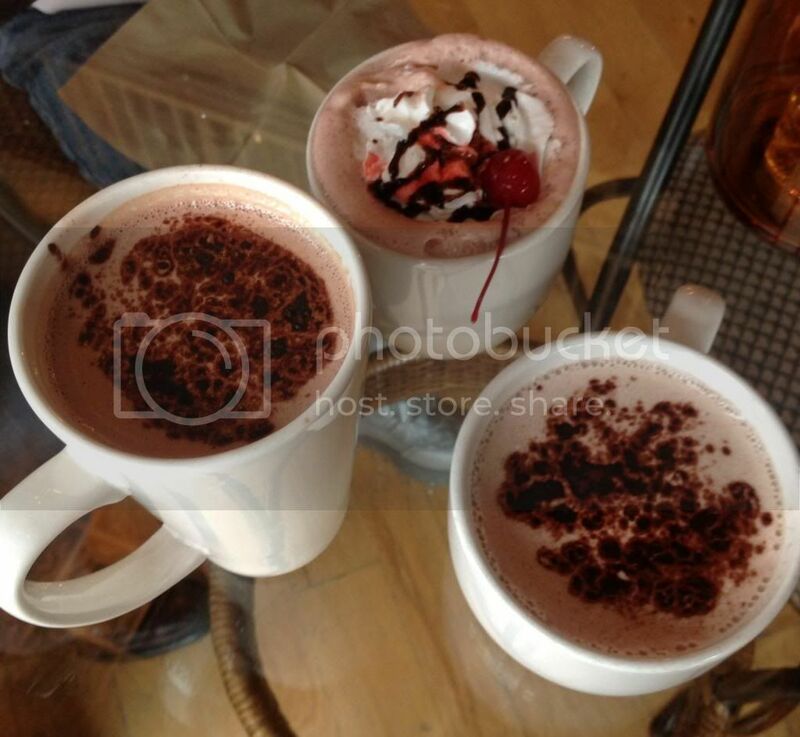 We chose to indulge in the specialty hot chocolate drinks, inspired by the day's windchill of -5ºF. (I think my Cali blood has returned to its Midwestern roots, as -5ºF didn't actually feel that cold.) Kam tried the Italian/Belgian/Swiss Cocoaccino. I couldn't pass up their signature Mexicocoa. And Mag was mesmerized by the prospect of a Hot Cherry Cordial. But how did they rate? The Cocoaccino was fairly authentic, albeit American-sized. My Mexicocoa was delicious, but tailored somewhat to the local palate, being slightly sweeter and with a less pungent cinnamon flavor than I would have expected. No need to rate Mag's Hot Chocolate Cherry; chocolate with any flavor added, plus whipped cream and a cherry speaks to all children! Does Le Chocolat warrant a return visit? Mais oui, bien sûr! And next time I might even be brave enough to try their "elixir of the Spanish Conquistadors!" How about you? Any favorite local spots that take you on a gastronomic journey? Et nous? (French) = And us? Mais oui, bien sûr! (French) = But yes, of course! Je vous présente: TpT! And a FREEBIE! Almost everyone has had some exposure to a foreign language. At the very least, most of us took a second language for a year or two in high school. Have you ever thought it would be fun to get back into it a little bit? Or maybe to give your kids a glimpse at a language you once enjoyed? Assuming you answered "mais, oui!" to these questions, today I have a fun download for you. 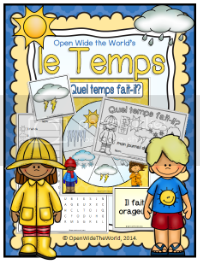 How about introducing your family to the months of the year in another language? I have created calendar toppers in both French and German, to inject a little language into our own daily routine, and wanted to share the fun. TpT calls themselves "an open marketplace for teachers." In essence, it's a collaborative group of teachers who create fabulous teaching units to share and sell, for one-another, and any interested lay people. TpT is just full of unlimited amazing resources, more that 80,000 of which are FREE!!! To access those 80,000 freebies, head here and create an account. Yes, I know... I was reluctant, too, to create yet another account with yet another site when I first joined a year ago, but have never regretted it since! 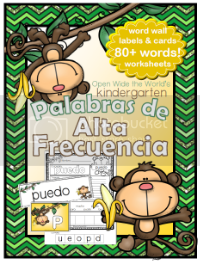 If you have a student/child who needs additional practice in any given area, and you'd like a fun way to practice, it's all but guaranteed you can find it on TpT... and very possibly for free! Mag actually enjoys looking through my searches with me and telling me which activities she'd like to try. They're cute, they're fun, they're educational, and often free, so I never have to say no. When else would you find a child asking for school work? So if you'd like to download my FREE calendar toppers, head over to my little corner of TpT. And if you do download, TpT'ers always appreciate feedback! Thank you for leaving a comment at my store!!! Mais oui! (French) = an informal "of course!" Profitez-en! (French) = Make the most of it!/Enjoy it! Moi, c'est Julie. I am a former world-roamer, now Speech-Language Pathologist... but currently on hiatus from my career, home with our prekinder. In the blogging world, our just-turned-5-year-old is called "Mag," short for "maganda," which means beautiful in Tagalog. 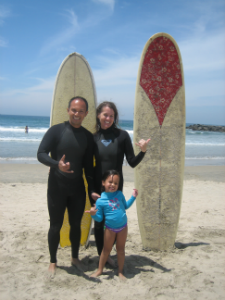 "Kam" will be hubby's name in my part of the blogosphere, short for "kakampi," meaning teammate in Tagalog. So that's us: I'm Julie. Hubby the teammate is Kam. And our beautiful one is Mag. In Kürze: another introduction and a FREEBIE! Encantada de conocerte. (Spanish) = Nice to meet you. In my early twenties, I lived in France. Because of our ages, most of my time spent with friends was out-and-about. We rarely visited one-another's homes. At that age and in that culture, apartments were merely for sleeping; their size precluded entertaining. But on the rare occasion that I was invited to dinner at a friend's home, there was one dessert that was served more often than any other. (It goes without saying, right, that dessert is always served in France!) And so now, during the endless months (okay, years) à terra firma, between travels, this dessert is an easy way to recapture some of the magic of the memories, and a yummy way to share the memories with the sweet-tooths in the family. For an extensive explanation of the authentic PBH (I'm sure I'd be denied re-entry into France if they saw how I massacred the auditory beauty of les poires by using such an abbreviation), Estelle at My French Cuisine offers a beautiful description. But I'm going to share with you the shortcuts that we poor 20-somethings used, which is the "recipe" I still follow today. Drain most of the liquid from a can of pear halves. Place 1 or 2 pear halves in each bowl with a little bit of the juice. Melt some chocolate. You can do this quickly in the microwave, depending on what type of chocolate you use, or make a hybrid bain marie/double broiler by bringing a small pot of water to a near boil, then setting a dinner plate on top. Put some chocolate (chips or a bar) on the plate and stir them around to melt them evenly. 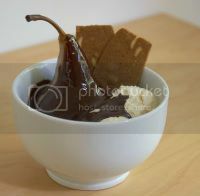 Once the chocolate is melted, top each pear with a scoop of ice cream, then the melted chocolate. Et voilà! You have an authentic (more or less) French dessert in minutes, and for pennies! As a variation, which I actually prefer, try Pêches Belle-Hélène, substituting peaches for pears. I don't know how often the French would do that, but I'm a peach gal myself, so Pêches Belle-Hélène is my fave! Any favorite dessert memories from your travels? We'd love to try them at our house! Et voilà! (French) = And there you have it! As I mentioned in the "Welcome" post, my upbringing is the source of my fascination with the world, a passion which my husband and I are now sharing with our daughter. To give a little deeper glimpse at how the people around me have contributed to my fascination with the world, I thought I'd post a little get-to-know-us map today. 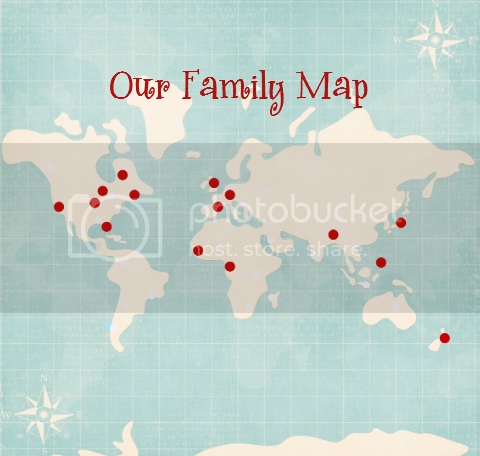 The map below shows the current or one-time homes of our immediate family members. The places indicated on this map are places where I or my husband, or our parents, or our siblings and their spouses, have spent a year or more of our lives (with the exception of Québec, which was merely a summer-long sojourn). As you join our family on our blogging journey through this Wide Open World, you will likely see a strong emphasis on the places and languages highlighted on this map, as these are the cultures we already love and desire to know more deeply. But I will also be looking excitedly forward to hearing tales from your trips and adventures, as a thrilling opportunity to peak into other places and cultures we haven't yet met. 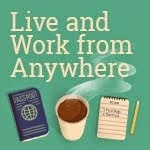 I'd love to collect funny stories, recipes, travel tips, anything from friends' adventures, too. Together, let's Open Wide the World! Most of us love terra firma. I get it. It's comfortable. Predictable. Easy. Life can be tough enough without adding intercontinental itineraries, confusing signs, incomprehensible languages, questionable alimentation. I've had those moments from time to time, moments when the familiar and routine are just about all I can handle. Aaahhh, the peace of home. Yes, I love comfort, routine, ease, and the familiar as much as anybody. And yet, since childhood the world at large has called out to me. Perhaps it was the stories my father would tell of his years in Africa. Or the hours spent with my sister listening to French and Swahili records on our phonograph. (You know what a phonograph is, right?) Or maybe it was the spark I would see in my parents' eyes at the tales the foreign missionaries would bring home. Probably a combination of many elements that seemed to bring the world right into our living room. And that gave me a feeling of comfort with what might otherwise seem like a great vast unknown. I grew up feeling like the whole world was my home. "Bringing the World Home; Feeling at Home in the World."